Dr. Yung is a board certified otolaryngolgist, or a physician specializing in disorders of the ear, nose, and throat. He received his Doctor of Medicine and completed his residency in otolaryngology at Mount Sinai Medical Center, New York. Dr. Yung received board certification in otolaryngology in 1995. He is also a fellow of the American Academy of Otolaryngology and a member of the American Academy of Otolaryngology. 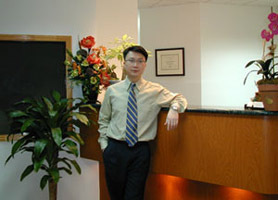 Dr. Yung has been practicing in the area for over 14 years, and has established his own practice in the China Town of New York City.